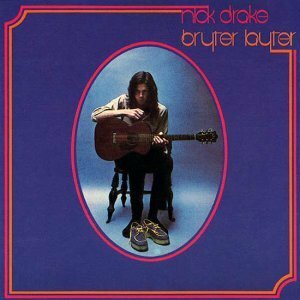 With every passing year, it becomes a little less accurate to say that Nick Drake has a cult following. Cults, by their very nature, tend to exist on the margins, the subject of their admiration unknown or even unloved by the vast majority of people. Bryter Layter, Nick Drake’s second album, was released on Island Records in the UK in 1970. Like his debut album, it was engineered by John Wood and produced by Joe Boyd. All brass and string arrangements were by Robert Kirby, Nick’s vocals and guitar were augmented by Fairport Convention’s Richard Thompson on guitar, Dave Pegg on bass and Dave Mattacks on drums. John Cale contributed keyboards and viola, Ray Warleigh played viola and flute, Pat Arnold and Doris Troy added backing vocals, amongst others.